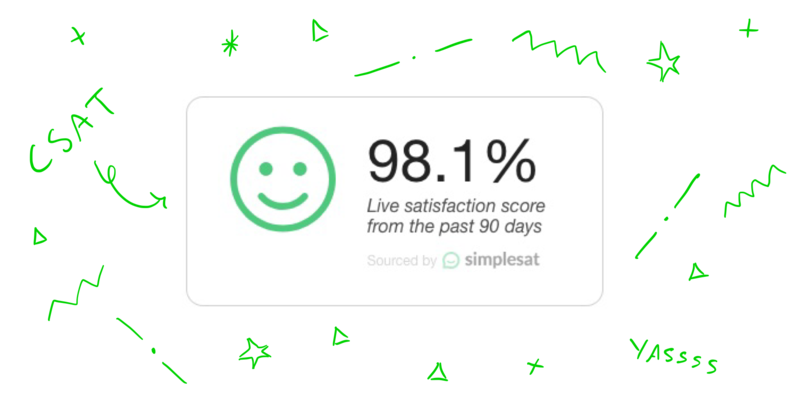 The CSAT Widget allows you to display the percentage score from any individual survey in your SimpleSat account. Widget code is not yet accessible through the SimpleSat dashboard. You can grab your code by following the instructions below. ❗ Warning ❗If the following instructions nauseate you in any way, just shoot us a message and we'll send you what you need. dateRange - Choose between 30, 90, and 180 day ranges. description - Change the default "Live satisfaction score from the past 90 days" text. Leave blank to show nothing. 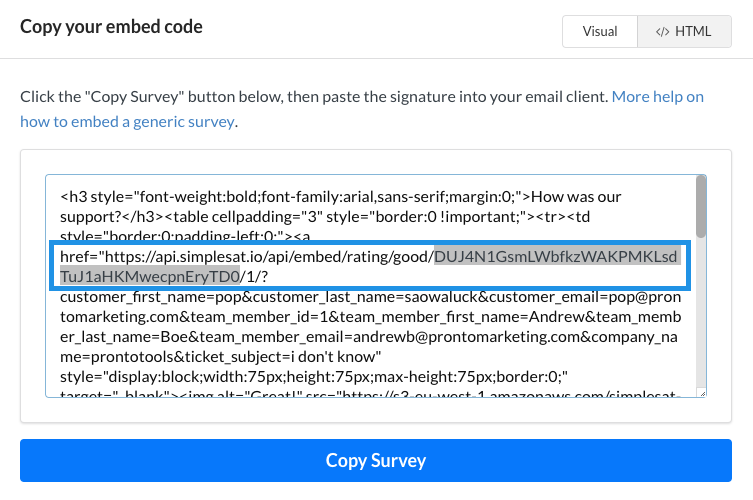 surveyKey - The unique survey key to display satisfaction from. You can get it from the steps above. companyKey - Your unique company key to display satisfaction from. You can get it from the steps above. 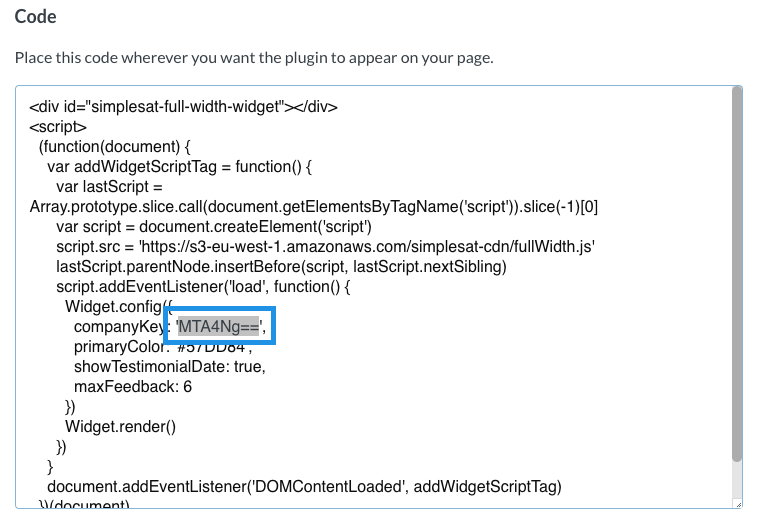 Copy the entire code and paste it where you'd like it to display on your website. The widget is responsive, which means it'll span the entire width of any container it's placed in. If editing your widget code's settings is too scary, we're happy to help. Just let us know what you need and we'll send you the updated code.